There's a reason why people say someone "drops dead" of a heart attack. How many times have we heard stories of a perfectly healthy individual, who doesn't smoke or drink, "dropping dead" in the driveway, on a treadmill, during a walk? Often people don't make it to the hospital, and die on the spot, as panicked loved ones call 911. "The Widowmaker," Patrick Forbes' engrossing new documentary, tells the story of the often-contentious development of both preventionist and interventionist technology in the cardiology world over the last 60 years, highlighting the ongoing battles between insurance companies, the American Heart Association, groups of doctors, inventors, and financiers, all who have a vested sometimes-financial interest in their pet technology gaining the most traction. "The Widowmaker", narrated by Gillian Anderson, is a disheartening portrait of blatant greed, as well as a fascinating examination of the trial and error process used in the scientific method. It does what good documentaries should do: it shines a very focused light on a very specific problem, a problem that affects millions of people and their families. 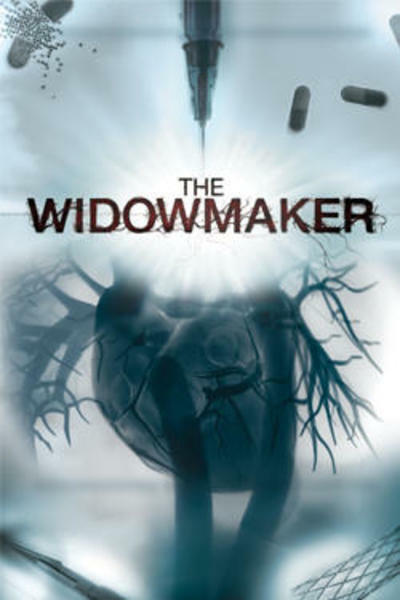 The development of various technologies to both prevent and stop heart attacks makes up the bulk of "The Widowmaker," and fascinating stuff it is. We meet Julio Palmaz, a radiologist from Argentina, living outside San Francisco, who worked in his garage on a kind of mesh tube that could be inserted into arteries to hold them open. This would eventually be known as the "stent," the most common interventionist technology used today to stop heart attacks. The problem with the stent is that the person needs to be in the hospital already, heart attack already in process, and, as shown repeatedly in the documentary, millions don't make it that far. What of the man struggling for breath in his driveway? He has minutes to live. Is there a way to prevent heart attacks before they arrive? Is there a way to predict a heart attack before it happens? This is where the development of the Coronary Calcium Scanning comes in, a process that checks for build-up of calcium in the arteries, a sure sign of the development of heart disease. The doctors involved in the Calcium Scanning technology became known as "The Calcium Club," and they were marginalized and dismissed, for years, in favor of the Stent. Stents are paid for per procedure, and so hospitals love them, and overuse them, doctors got rich on their stent expertise, and prevention technology ended up being sidelined, in an official and unofficial manner. There's no money to be made in prevention. Forbes walks us through this extremely fraught and involved scientific landscape, where tempers still run high, with people sniping at one another in their interviews. One guy refers to the calcium scan proponents as a "cult." Rene Oliveira, from the Texas House of Representatives who passed a bill in his state making calcium scans mandatory, said of one of the calcium-scan-naysayers, "He's an idiot and probably still in dinosaur times in terms of his thinking," (A calcium scan saved Oliveira's life.) It is illuminating that the insurance companies mentioned in the film refused to participate in the documentary. The battle over the years has been to make calcium scanning an accepted and regular part of a human being's health-care needs, similar to mammograms for women. The calcium scan is regularly referred to as "a mammogram for the heart." But without an official stamp of approval from the AHA, and with pushback from the stent-happy doctors, it was an uphill battle. After ex-President Clinton's bypass in 2004, the White House declared that all future Presidents will have calcium scans. Better safe than sorry. NASA, too, after a scare with an astronaut thought to have had a cardiac event in space, implemented a mandatory calcium scan for all of their people. There are no stents in space, in other words. But the wider public had better hope they make it to the hospital in time. Forbes has so much material to cover, and much of it is highly technical. One could get lost in the amount of information. But he has fashioned "The Widowmaker" as a chronological tale, moving us through the years of developments, introducing us to the various figures, showing the set-backs and break-throughs, both political and scientific. While there are many "talking heads" here, Forbes has chosen to fill the film, front to back, with what amounts to second-unit shots, of various cities, San Francisco, New York, Miami, the places where these technologies were fostered. It is a constant collage of crosswalks, stoplights, skylines, foot traffic. It ends up being a very meaningful visual choice, showing the universality of the problem. Throughout "The Widowmaker", Forbes shows a furiously-counting ticker, clicking off the number of deaths per year from heart attacks, the number going up and up and up. The ticker provides a sense of urgency, the urgency we all know personally. Not one of us has been untouched by this disease. Packed full of diagrams and technology, scientific language and medical terms, "The Widowmaker" is welcoming, comprehensible and clear.